Corianna Moffatt interviewed Tom as a part of Impossible Questions Tour. Tom spoke about the Vietnam War, religion, love, and how to get though hard times. Tom brought me a biscuit and a large coffee. We sat in the kitchen and ate breakfast while we talked. 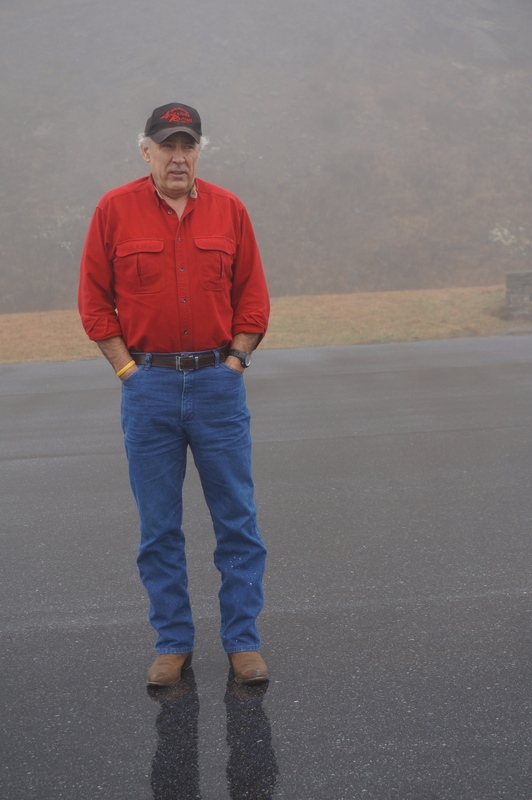 Tom is a Vietnam veteran who returned to western North Carolina after the war and worked as a lumberman for decades. He took me on a drive on the Blue Ridge Parkway. We spoke about why bad things happen, how to get through them, and the moment he fell in love with his wife. Tom and his lovely wife at the neighborhood watering hole.